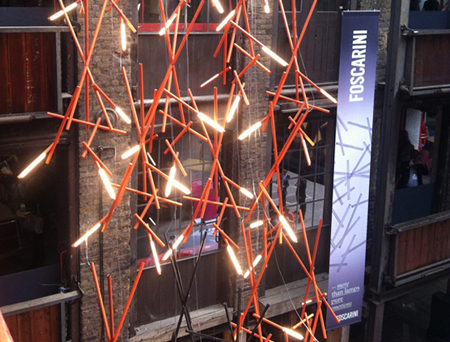 Last week we hot-footed it down to London for the start of Clerkenwell design week. Having been promised a fabulous array of new releases, innovative installations and interactive events, we were certainly excited to see what was on offer. 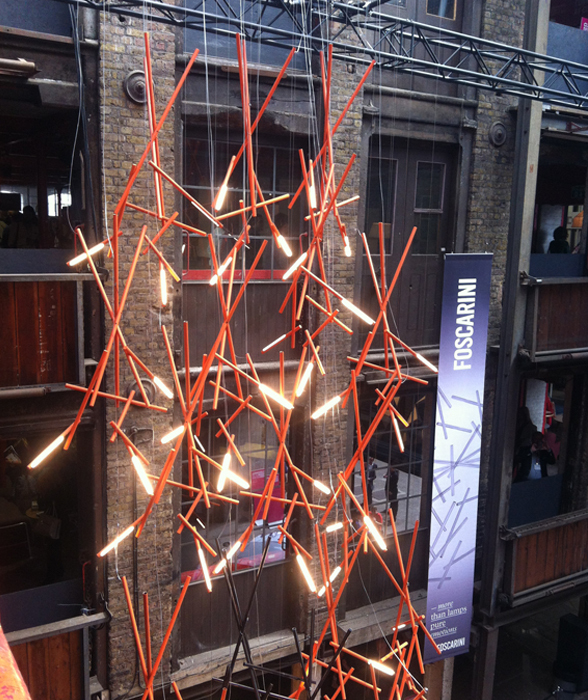 Our visit began with a trip to Clerkenwell’s main hub – the Design Factory – located in the old Victorian Farmiloe building. Despite its tiny staircases and narrow halls, it was actually the perfect venue to showcase new design. Pendant lights were framed beautifully against the old Victorian brick walls, large windows let in plenty of natural light and the old wooden floorboards made rugs and upholstery zing. The exhibition highlighted a fair few new designs as well as plenty of old favourites, so keep reading for the full scoop. Foscarini once again took over the entrance foyer, this time exhibiting Ferruccio Laviani’s Tuareg in a cascading installation. 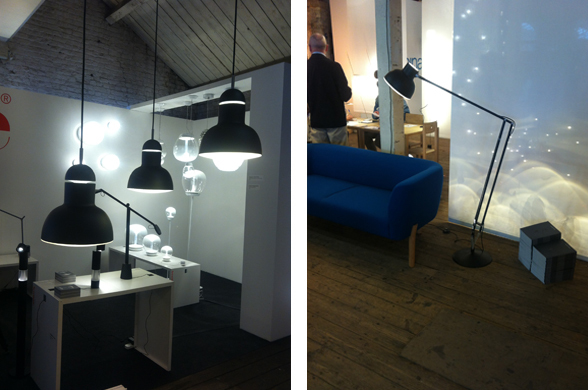 It was a mesmerising and dramatic display and went down exceptionally well with the design crowd. 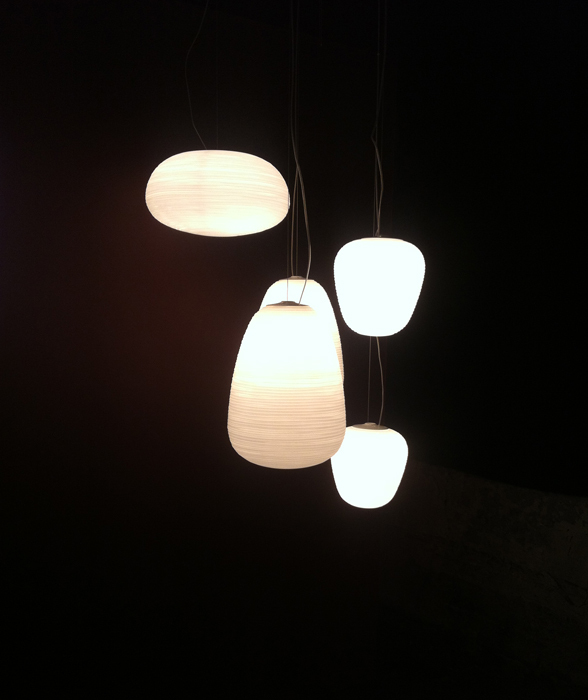 The lighting specialists also showcased its Rituals suspension lights in a new XL size, the new Lightwing floor lamp and its three most successful lights – the Aplomb, Caboche and Tress. We could have stayed in the Foscarini stand a lot longer marvelling at the dramatic Tuareg installation, but there was lots to see and, as always, never enough time, so we cracked on to the main exhibition space. 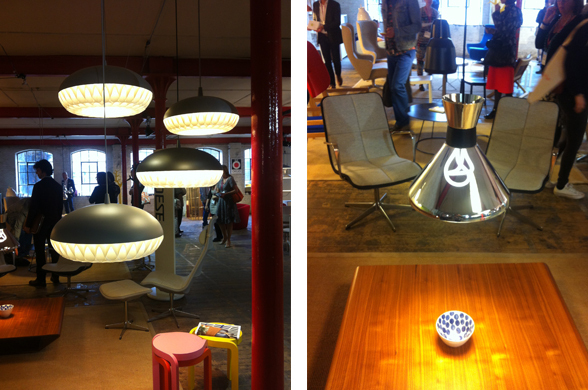 Decode’s latest offering struck us as we passed through with a gorgeous display of products old and new. 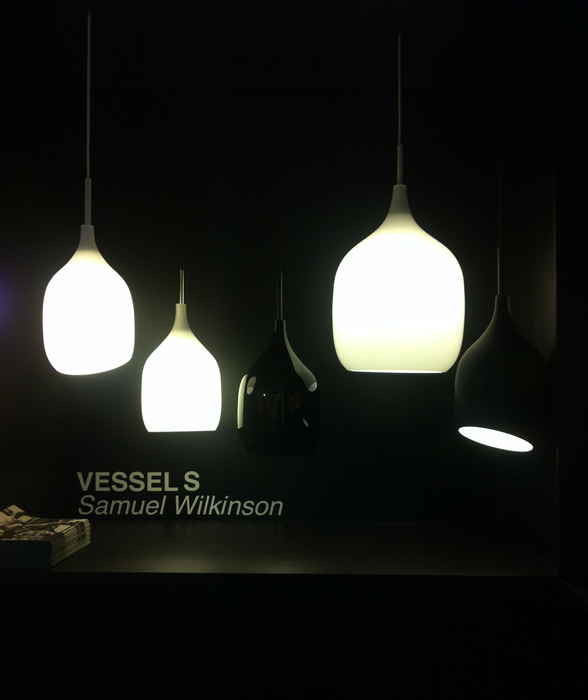 The young British brand launched its popular Vessel series in new black and white finishes as well as in a new, larger size. We can’t wait to get our hands on the matt black version! 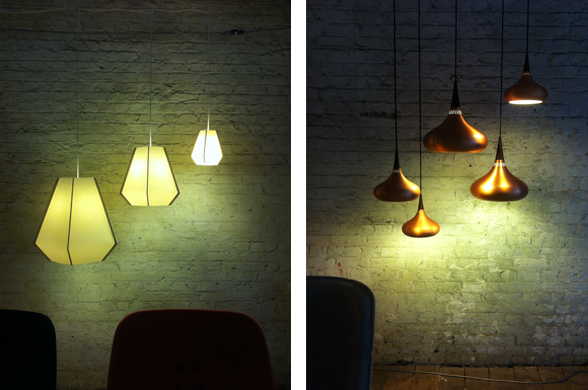 Lighting appeared to be a main focus for many of the brands at Clerkenwell this year as, making our way through the winding alleyways and halls, we were greeted with yet another beautiful display – this time from Danish brand Lightyears. Aeon Rocket, Orient, Lullaby and Pharaoh were all on display and looked simply stunning against the crumbling brick. 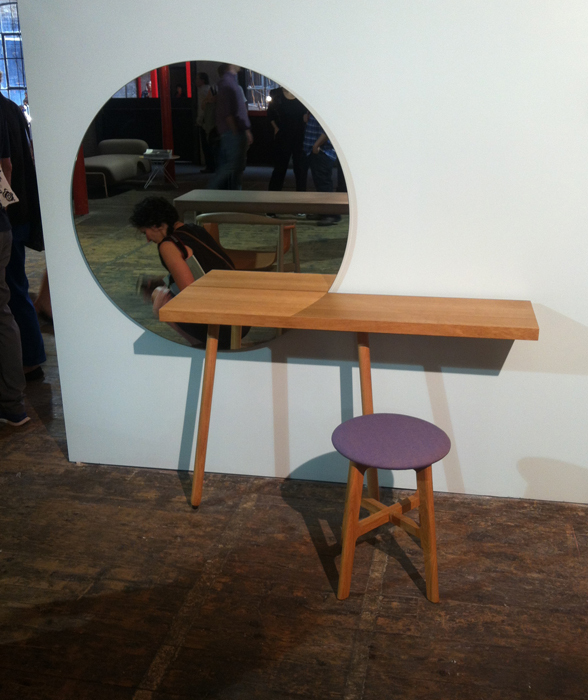 The next booth introduced us to Zeitraum’s latest offering, the Carla mirror/shelf - an instant hit with team Nest! 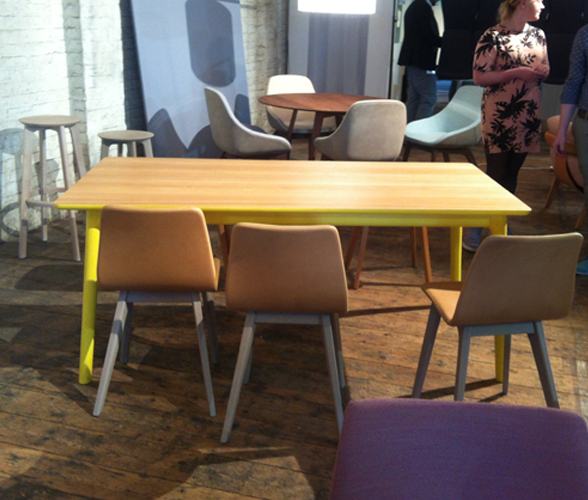 Zeitraum also displayed its gorgeous extending table, E8 Longue by Mathias Hahn, which is new for 2014. 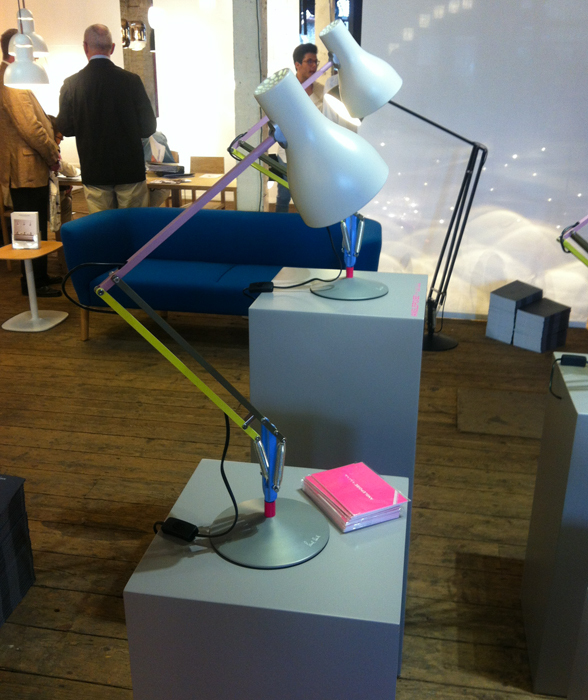 The highlight of the fair came at our final stop at the Design Factory – the Anglepoise stand. Not only had they two new products to show, Clerkenwell was also the international launch of its tight-lipped-though-greatly-anticipated collaboration with fashion designer Paul Smith. Eager to see just what the designer had done to the Type75 table lamp, we rushed up to the fourth floor with baited breath, and, oh my, it did not disappoint. Kenneth Grange’s classic design had been given a super stylish makeover that made use of a host of contrasting colours, highlighting the lamp’s magnificent mechanics. The lamp is strictly special edition and is only available in a run of 2500 worldwide, so as soon as we have more information we will be in touch as we think it’ll fly! 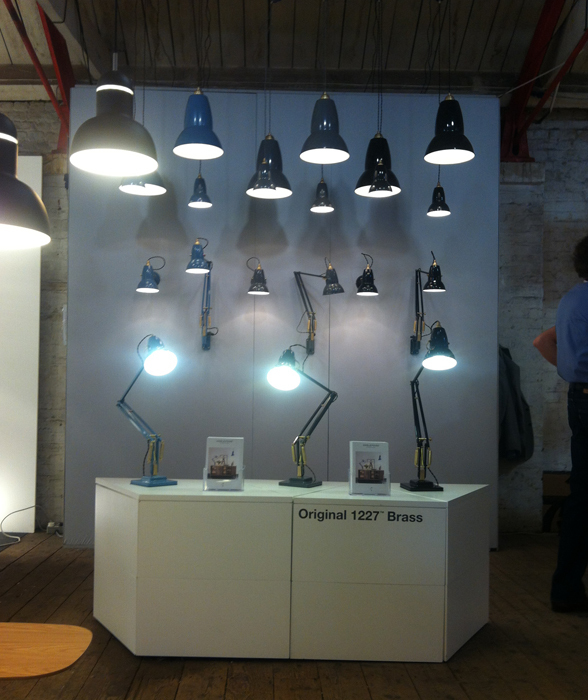 The British brand also launched its Maxi collection (which features a rounded, contemporary pendant and tactile, smooth-moving floor lamp) and a new brass finish on its current collections. After a busy and bustling morning, we took the short walk up the road to the Vitra showroom where we were due to take afternoon tea in their Secret Garden. Specially erected for Clerkenwell, the Secert Garden was an idyllic enclosed area where you could unwind and escape from the bustling crowds. 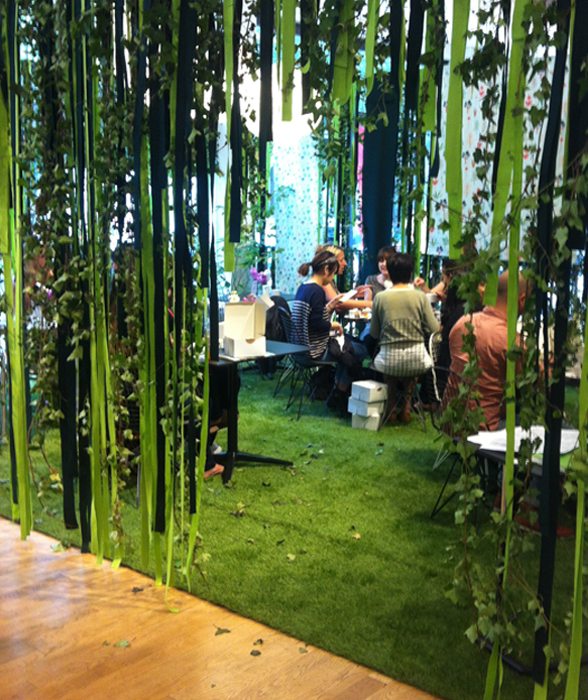 With fake grass underfoot, an ivy enclosure and outdoor furniture to dine on, we felt like we were anywhere but London! The afternoon tea was lovely and after a short rest we went to explore the creative offerings of the showroom. The new displays looked fab – we especially loved the green and pink spring theme which was running throughout the ground floor. Vitra were also hosting the Tailor my Tom Vac exhibition – a collection of 20 customised Tom Vacs to celebrate the chair’s 15th anniversary. 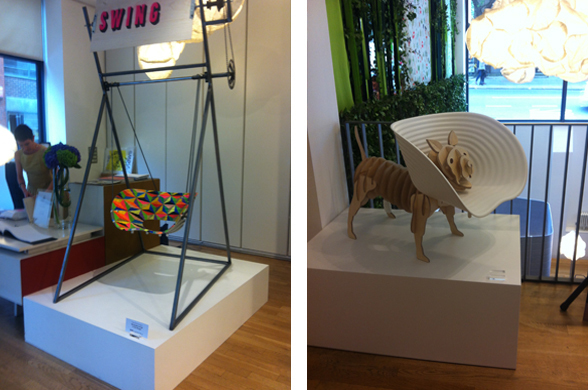 There were some exceptionally creative entries including Morag Myerscough and Luke Morgan’s geometric coloured swing and Coffey Architect’s ‘Tom Woof’. We couldn’t leave Clerkenwell without dropping in on the Cassina, Poltrona Frau, Cappellini and Alias showroom so we had a quick wonder and relaxed on the luxurious leather sofas – seriously, words cannot describe how soft the Poltron Frau leather is! – before we made our way back up North. We also managed to sneak in a quick catch-up with Alex and Rob from ByALEX at the Zetter Hotel – the atmosphere was relaxed and the coffee and juice great - definitely worth a visit! Don’t forget you can follow our live updates from all the fairs and exhibitions on Facebook, Twitter and Instagram – we hope to see you there!